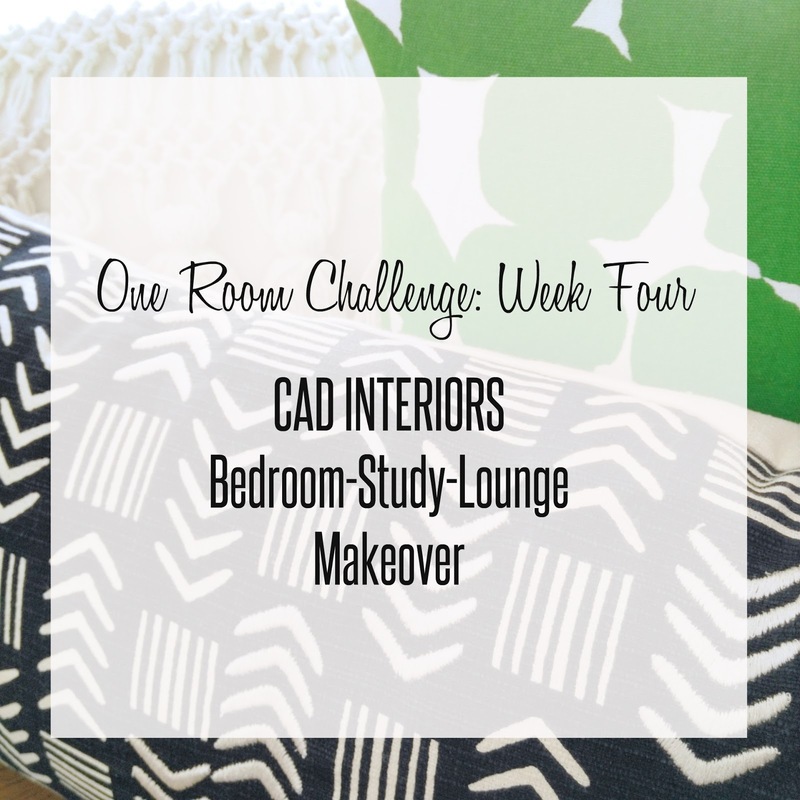 My objective this past week was to finalize the furniture, textiles, and lighting for my room makeover - a small, under-utilized bedroom that is being turned into a triple purpose bedroom-study-lounge! I knocked out MOST of the objectives for the week... yay! One of my biggest concerns was finding a ceiling light fixture. 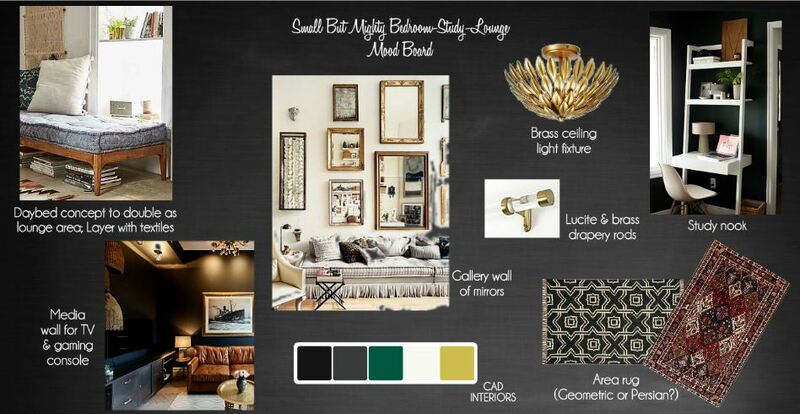 I wanted a semi-flush mount with a brass finish, similar to the fixture on the mood board. However, since I just couldn't bring myself to pay $$$ for the actual inspiration piece - not for a non-master bedroom at least - I spec'd more budget-friendly alternatives. I landed on a semi-flush mount light with a beautiful finish of aged bronze and brass. The style wasn't initially what I had in mind, but I do like its transitional shape. The "open cage" design also means I don't have to worry about cleaning it too often! Our large brass-framed mirror is serving as the "anchor" piece of the gallery wall. I've been able to find some great vintage options although the finishes weren't necessarily quite right. A little gold spray paint helped fix that "issue" right up! I'm hoping everything looks okay once all the mirrors are hung. THANK YOU FOR FOLLOWING ALONG!!! Your textiles are going to bring so much to this space, I can't wait to see them with the black walls and all the other elements! It's coming along Carol!! oooh i love the textiles and i think the light is great! That wall color is so dramatic and gorgeous! 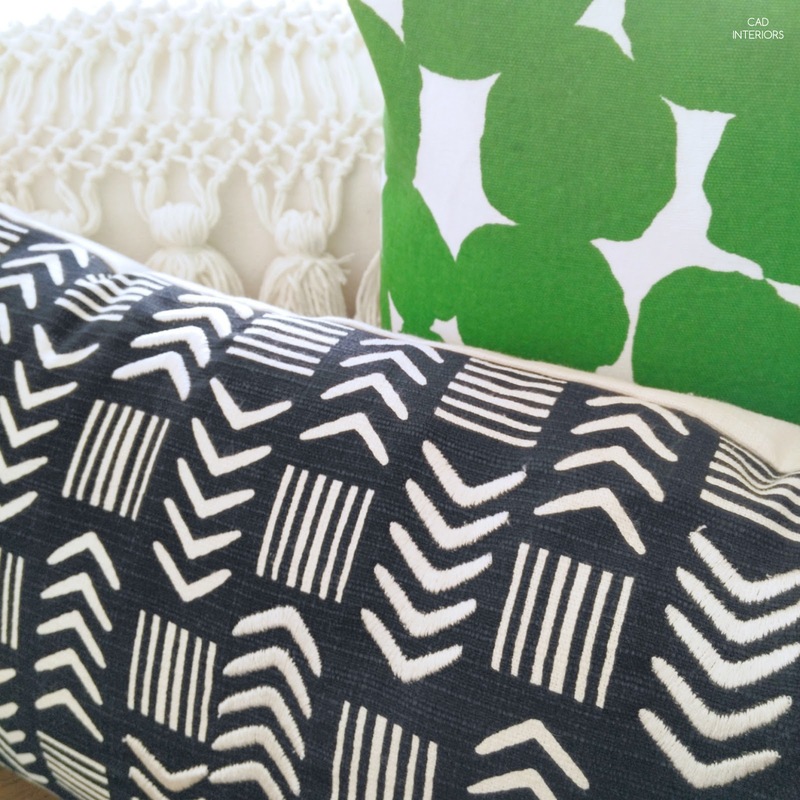 Love your textiles, too. Looking forward to seeing what happens over the next two weeks! 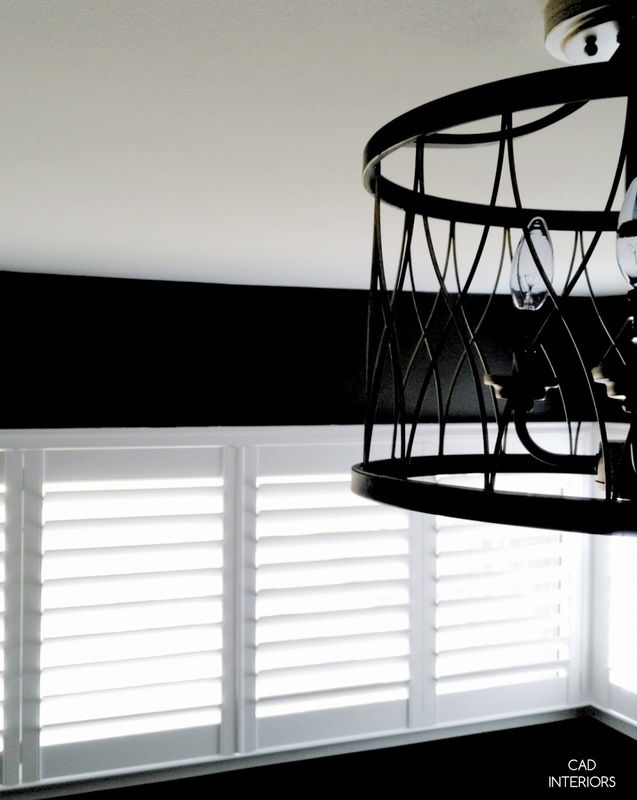 Such a dramatic wall colour and I can't wait to see that great mirror gallery wall. It's looking fabulous! 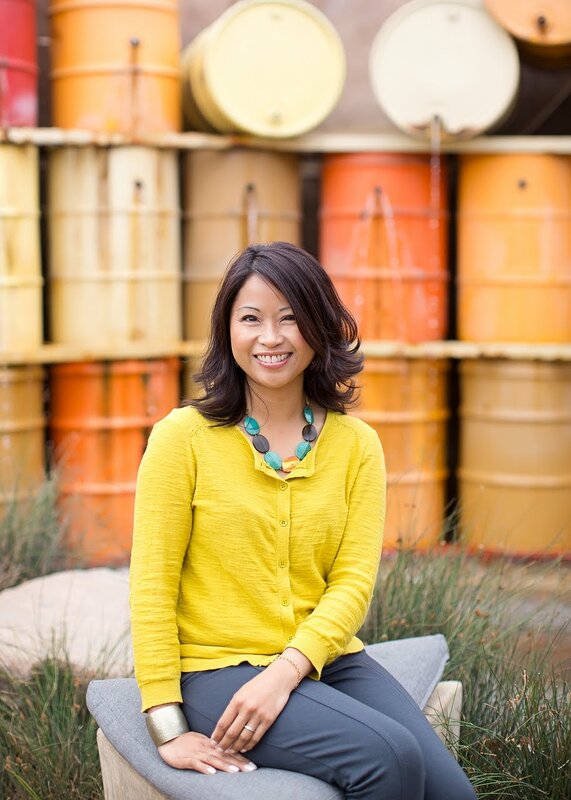 Wow, I just love what you are creating in this space! The paint, the light, and I have had that inspiration photo of the gallery wall of mirrors on a Pinterest board for a long time. I can't wait to see your completed room!